Tekst Spell. 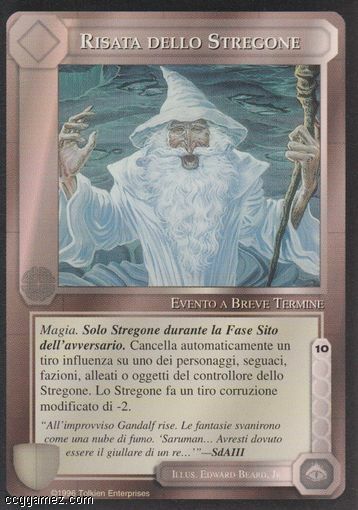 Wizard only during your opponent's site phase. Automatically cancels an influence check against one of the Wizard's player's characters, followers, factions, allies, or items. Wizard makes a corruption check modified by -2.